Pro Label offers a wide range of the most popular label sizes for your thermal-transfer or direct-thermal printers. We’ve also got your thermal transfer ribbons ready to be delivered! There’s nothing stock or standard about our custom label, sticker, decal or tag product offerings. From 1 to 1 million (or more), we’ll match the right product with the right capabilities for the right price. Signs, Banners, Displays and More! Whether you’re gearing up for a convention, trying to turn heads with attractive signage or anything in-between, Pro Label has the solutions you’ve been looking for, and deserve. Products aside, what services do we offer? 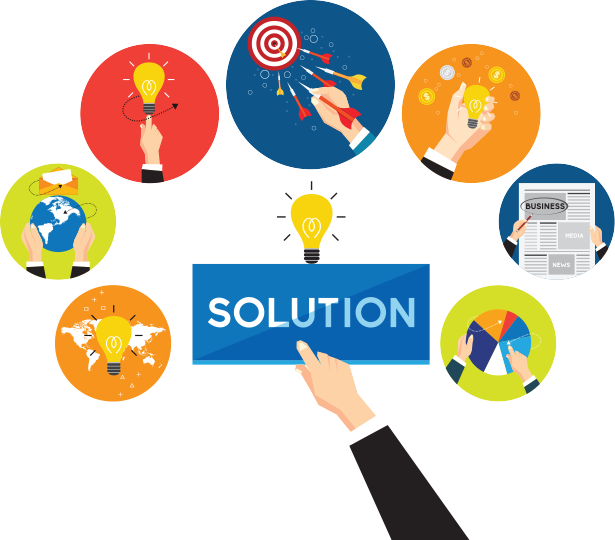 From ideas and issues to solutions and results, we go above and beyond to communicate with our customers in an attempt to better understand their wants and needs. Our common sense shipping and distribution methods are being refined and fine tuned every day to better serve you. Business happens at the speed of light these days, and you need your products. We pride ourselves on doing everything in our power to ensure you get what you need, when you need it. No order is truly complete until our customers are thoroughly satisfied. Every customer is our best customer, and we always aim to please. Don’t want to keep a large stock of products on hand? That’s fine. We facilitate your print management needs by identifying product usage over set periods of time to make certain you are getting the most for your money. Help us help you. What is your usage and volume of an item? Let’s find a solution to get you the best price available based on key metrics. Every customer, and every project is unique. Your pricing should be the same. We don’t take the “rubber stamp pricing” approach with any of the products we offer. In an attempt to be as competitive as possible, we make honest efforts to hear your needs, and match you with the right product, with the right capabilities, for the right price. Business is personal, and your pricing experience should be the same. I consent to Pro Label Print Solutions collecting my details through this form. Based in the heart of the Midwest, Pro Label specializes in blank stock label and stock label supply distribution, custom labels, vinyl decals, stickers and tags of all shapes and sizes. From 1 item to 1 million, we can handle all of your supply and printing needs. Where you see problems, Pro Label sees opportunities to provide solutions. We pride ourselves on being as lean as possible, with our main focus being able to provide extra value to our customers and the products they purchase. Pro Label provides solutions resulting in maximum customer value by relentlessly striving for the identification and eradication of waste every step of the way. We are fully committed to making your project our next success story! Pro Label is a great company to work with! They are very professional and always go above and beyond for their customers. The quality of their products is amazing and their customer service is amazing! Nick is easy to work with and is extremely knowledgeable about their products and their work! 5+ stars and I highly recommend them! Great company to work with! We have an on-going business relationship with them and they always go above and beyond to make sure our projects are done right and on time! I've known them to even work nights and weekends to fill rush orders in the past. If there was 6-stars I would give them that! We have had nothing but a positive experience every time we use Pro Label. They never disappoint and have saved the day many times! The staff is wonderful and the customer service is outstanding! I matter as a customer and it is shows in the product and service! I highly recommend Pro Label for any printing solutions. They are a very friendly team. The quality, speed and cost is exceptional. We have had projects requiring prints ASAP- they have not disappointed! Pro Label is extremely detail oriented and customer satisfaction is a top priority! Turnaround time is minimal, and they will go the extra mile to meet your deadlines. I would highly recommend giving them a shot for your custom decal, sticker, banner, etc. needs. Nick is super helpful and friendly, would definitely recommend! It’s the right product, with the right capabilities, for the right price. Depict and improve the flow of inventory. Use processes that only add value to the product. Reduce lead times required to create value by eliminating waste. Produce product only when needed. Remove excess capacity of inventory production. Continuously apply lean manufacturing and production principles. I consent to Pro Label collecting my details through this form.